Not uncommonly, therapists tend to view guilt as a toxic emotion. 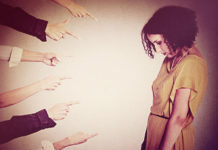 They are often over-sensitized to the psychological effects of too much guilt—of unwarranted guilt—yet often under-sensitized to the interpersonal effects of someone having too little guilt—the absence of guilt when it is warranted, or someone prone to muddled outward expressions of guilt that achieve little interpersonal resolution. Even more problematic is the practice in the world of cognitive behavior therapy of viewing guilt as a symptom that needs to be eliminated. For instance, in one of the American Psychological Association’s recommended treatments for PTSD, Cognitive Processing Therapy, guilt is essentially viewed as an irrational belief that needs to be challenged and eliminated. Along these lines, if a returning combat veteran is plagued with guilt for having acted brutally, or witnessing comrades acting brutally, during wartime, this is seen as an unwarranted irrational belief that needs to be eliminated, rather than a moral feeling that needs to be struggled with to achieve some measure of self-forgiveness. Insofar as mental health professionals do not sign on to witness and work with such guilt feelings and assist clients with inroads towards self-forgiveness, it can work against clients achieving true emotional resolution. It is important to remember that among other things, guilt is one of the primary social emotions that keeps people socially aware and appropriately self-conscious. It signals us when we have acted badly and need to make amends to get our relationships back on track. In the plainspoken words of the philosopher Herant Katchadourian in his mesmerizing book, Guilt: The Bite of Conscience: “guilt makes us feel bad to make things better.” It realigns the power imbalance that has occurred in relationships due to hurtful actions through the “redistribution of distress.” Knowing that the person who has hurt us feels bad about his or her actions, and desires to make amends, makes the hurt he or she has caused us more bearable. Their guilt results in the distress in the relationship being more evenly distributed. It’s not just me feeling bad when she acted badly. She also feels bad for having acted badly, and the pain is shared. In a sense, we feel better by the transgressor feeling worse. The transgressor’s guilt is the emotional catalyst for them to desire to make amends. Knowing that the pain is shared makes us receptive to their reparative gestures. It’s how psychologically mature people strive to balance honesty with kindness, truth with tact. To be “brutally honest,” as the saying goes, is still to be brutal, to render social feedback that might be useful, useless. When a person feels guilty after some questionable misdeed, in the best of circumstances, it galvanizes them to want to make things right. Many clients get mired in guilt. They get stuck just passively feeling badly for their transgressions. Oftentimes inquiry into whether as children they witnessed parents “make up” after thorny conflicts reveals nothing of the kind. Therapy can raise their awareness of retrospective guilt being a signal for proactive apologizing and making amends. Ineffective apologies can be re-injurious. There’s the quick insincere apology to circumvent being the object of bad feelings: “Okay, I called you lazy. I’m sorry. Can we move on,” in an angry tone that does not convey any real quotient of remorseful feelings. Then there’s the one-time, emphatic, sincere apology made with the expectation that the slate will be wiped clean, leaving no emotional debt. 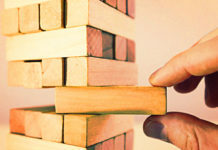 This can be very effective with small transgressions and lapses in trust, but with larger acts of deception and betrayal can lead to intensified conflict. In therapy, one of the most beneficial steps we can take with clients when there has been insensitivity, deception, or betrayal, is to help the offending partner effectively express diffuse or muted guilt, be moved to apologize with true awareness of harm felt and caused, and realize that it is the active making of amends—making things right with the offended person—that is truly restorative for the relationship. Therapists also have a responsibility to fess up to their own insensitivity with clients. The good therapist aims for consistent empathy with clients. When therapists act in heavy-handed, less than sensitive ways, or offer inaccurate interpretations of clients’ experiences, or take charge of the therapy based on their own impatience or need to be productive—all failures in empathy—therapists need to take clients’ protestations seriously. Wording becomes important here. Saying, “I can see you are disappointed in me” reflects incomplete ownership of hurtful actions. Saying, “I was not fully present and aware of what you were trying to communicate to me and I can tell this hurt you” models more ownership of hurtful actions in ways that can help clients attain a capacity to express guilt feelings effectively and move towards relational reconciliation in their lives. Harper that seems like an extremely formulaic and narrow viewpoint. I no longer believe that there’s one magic answer to everything that will work for everyone. I know a lot of people out there who will tell you there’s only one way, notably, Evangelical Christians, some folks in AA, some therapists, and people who hold rigid religious beliefs. Oh, including some who say they’re Buddhists. Maybe some psychiatrists, too. How can it be 120 pages and 60,000 words? I assume that’s a typo. I’ll check that out. I was never given a chance at blogging here at MIA. I was told I was limited to four articles no matter what, simply because I am a survivor, and therefore, not professional enough, even though I have a valid masters degree, it’s not a MH degree so it isn’t valid enough I suppose. Hello Harper, Thank you for the link to your website! The information is incredibly wise and insightful. It explains so well the trauma (and labels) I endured in cancer treatments as it involved a lot of “blame-shifting” so others need not feel guilty. On your website you write that the DSM “does not take into account the most explanatory elements of human psychology”. That is so true and what is so appalling about psychiatry, nothing that happened or is happening to a person, even major surgeries and chemo with such horrific side-effects you can barely eat, breathe or stand, and fell and suffered serious head trauma (unconscious on the floor with a swollen bleeding laceration that needed stitches) I hope you will post your excellent articles on MIA as well. I pray the day is coming when people will be saved from the utter absurdity of psychiatric dogma. The DSM is a catalog of billing codes. ALL of the so-called “diagnoses” in it are bogus, and they were all INVENTED, not discovered, to serve as excuses to $ELL DRUG$…. It’s about MONEY, POWER, and CONTROL. Psychiatry is a pseudoscience, a drug racket, and a means of social control. It’s 21st Century Phrenology, with potent neuro-toxins. Psychiatry has done, and continues to do, far more harm than good. Thanks, Harper, I just wanted to write this blurb before I go check out your website. I type and write slow due to Iatrogenic Neurolepsis…. (I understand that the DSM-6 will have a special sub-category for “Neurocognitive Iatrogenic Iatrogenesis”, which of course is the specific mental illness of believing in psychiatry…. LOL….)…. “Therapists make mistakes and can cause harm to our clients.” So true. And I agree, “Therapists also have a responsibility to fess up” to the harm they’ve done to their clients. And they should utilize their malpractice insurance for what it is intended, since the only reason they were trusted in the first place was because they had that malpractice insurance. Not utilizing their malpractice insurance to pay those the therapists have misdiagnosed, and all defamed with the “invalid” DSM disorders have been misdiagnosed, since none of the DSM disorders are real diseases, is unethical. Mental health professionals are notorious non-apologists. I believe they do feel guilty but feel that apologizing means they’ll be sued. After I was deprived of water in a facility, which traumatized me, they did not apologize even though it’s obvious they did something horribly wrong. What happened is that my doctor lied to me two years later, defending the hospital’s actions, telling me the water deprivation was medically necessary. A simple peek into my blood levels at the time, and knowledge of my own body (and the result of taking lithium) tell me otherwise. I’m not sure what to do with this, the knowledge that a crime was committed and nowhere to go with it. I feel this empty void where there should be communication. I hate the silence from them and the occasional retaliation they still try to pull off. I’m still scared to travel to Boston, scared of what they could do if I were recognized, scared because of the very remote chance that I would run into a previous provider. Yes I know that’s illogical, but since when does fear have to follow what the intellect tells it? And yet the one thing I want to do is to ask them, earnestly, for an apology. To ask if they validate that what they did was morally abhorrent and harmed me deeply. To demand that they change their policies, change the way they do things, and from now on, admit fault immediately instead of covering their butts and then waiting years to do so. Streetphoto, When I was admitted I was dangerously dehydrated and malnourished. I had to have 2 liters of fluid IV immediately as soon as I arrived and my pulse was around 30bpm due to dehydration. I weighed about 80 pounds, too. Yes, they would have killed me but I got out (escaped) because they made a paperwork error. In some cases, neither excuses nor even repairs are possible. Indeed, some people have an objective interest in hurting you: they get richer and find an emotional satisfaction to brutalize you: feeling of power, feeling of superiority, contempt of people deemed inferior, perverse satisfaction in violence, self-justification and self-moralisation of caste. These people can not be moralized because it is their practice that drives their morale, not the other way around. A very relevant and interesting article. Thank you very much. Not sure I agree with this, seems more like a judgment than truth. Sometimes it is necessary to be blunt, when one is not heard and not heard and not heard, where truth is avoided at all cost. Clarity and authenticity are what make the impact, not tip-toing. Although I do feel we can start out by speaking kindly even in our grievance, still direct and clear but with the intention of reaching mutual understanding, not punishing. But so often one is dismissed or demeaned in trying to get across their pain caused by another, and then I feel it is appropriate to be as direct as it takes, and emotion can be part of it. And it should be, why not? That is our truth, we are abundantly human. Dismissing grievances for any reason is negligent. But when it is due to strong emotional expression, this is a HUGE “mistake” often made in the “mental health” industry which can be extremely costly and harmful to a client. That is denying a person their heart, spirit, and human truth of the matter. In this particular arena, it is tragic irony, and the epitome of abusive incompetence. I don’t believe anyone has the authority to call out what is psychologically mature vs. regressed, or some such distinction. That is a matter of individual personality, communication style, and most importantly, cultural influence. To the point of the article, ownership of one’s mistakes and foibles leads to personal growth, this I do know. Apologies are empty if the dynamic continues, but meaningful if they signify change. Forgiveness of self and others is healing and allows us to practice present time living, which is where our power to create change exists. But when the issues are institutional and systemic, then it is important to see what is causing all the guilt and need for apologies. Something is not right here on a grand scale. I believe we know this by now. I do think it’s possible to be direct without being antagonistic, but I agree that there are times when setting good boundaries requires doing things that others might find hurtful, mostly due to your violating their sense of entitlement. Setting personal boundaries is something I learned later in life, as part of my healing. As a child, I wasn’t allowed to have boundaries. My folks felt entitled to be invasive, and it was aggressive. Repeated in the “mental health” industry. Whereas they (parents/system) had/have very strict boundaries which are not only not communicated with any clarity, if at all, but also they are terribly inconsistent. Yet, one is expected to know and honor them, even though they are vague and fuzzy. That’s the double-whammy of narcissistic abuse, to my mind. 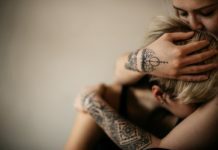 Healing from abuse requires learning that we do have personal boundaries–and are entitled to them, it is our birthright–and learning how to communicate them with clarity, and it can certainly help to set them with compassion. I think it’s an art, and it comes from self-respect as well as self-care. Setting boundaries WITHOUT feeling guilt is emotional freedom. What words and tone we use comes from practice and, I believe, they are determined by our intention. Are we truly setting boundaries or are we angry and hurt ourselves so we project it outward, like punishment or retaliation, in the guise of boundary-setting? That can border on power abuse, if there is a power dynamic to consider in the situation. I think this a valuable and powerful exploration and self-reflection, so that we may know our truth, own it, embody it, and live it. That would be great self-awareness and expanded consciousness in action. You speak very wisely! I still feel guilt sometimes but have learned to acknowledge it as a voice from the past and let it go in most cases. But it is still a struggle some times. It’s hard to kick those early childhood lessons. I was raised on guilt, big weapon of control in my family. Created a lot of double binds and a feeling of emotional imprisonment. I had to practice a lot of forgiveness and detachment in order to heal this and free myself of it. It’s why I always talk about aligning with our personal truth and walking our talk. If we practice this daily, our neurons will shift so that those old childhood programs become a thing of the past, where they belong. Still can creep up, of course, given that we’re human and all. But like you say, it’s a matter of identifying it as past time, rendering it powerless so that we do not operate and create our experience from these self-judgments. Being able to discern past time from present time is where we experience and feel freedom. Striving to be kind, loving, fair-minded and humble in my emotions as much as possible certainly eases any old pangs of guilt, in general. Great description of lack of boundaries –> learning to set them. I went (am probably still going) through the same process. I fired a therapist who kept pressuring me to violate my conscience which would lead to guilt. After the third time I fired her. Everyone–the staff–insisted I must not have understood. They insisted I discuss it with her and them. I politely declined until I relocated and escaped Crazy. I was nervous about possible gas lighting. She had never done that, but the MI System encourages that kind of thing since no one will take the word of a “crazy” over a respectable professional. A friend had this same therapist and received the same pressuring. She got mad but kept her appointments cause that’s what the staff told her to do. “that’s what the staff told her to do”, forced worship? the religion that isn’t a religion because they say it is medicine. I know what you mean. It took a lot of crocodile tears to put outpatient treatment behind me. Told me who to date from group, how to vote, what to eat, to watch more TV, what clothes to wear….Ugh. Not just therapists who acted this way. (I had a few good ones but they kept leaving or getting fired for inadequate paperwork.) Caseworkers were generally the worst control freaks in the system. Excellent article, Enrico. I strongly agree with everything, especially “The transgressor’s guilt is the emotional catalyst for them to desire to make amends” and “Prospective, or anticipatory guilt, can be an indication of psychological maturity”. Shame or guilt serve as a moral compass. If someone intentionally harms someone through jealousy, greed, intolerance, control, or any inexcusable reason, guilt or shame is warranted. If you are capable of feeling guilt or shame that indicates you have a conscience; People who justify their inexcusable and harmful actions have no conscience. I don’t believe you can be remorseful without feeling guilt or shame. Excellent and important article on the dynamic of guilt in the mental health industry; one I’ve never given much thought to-but will now! My only comment here is on the ubiquity of CB therapies, et. al. I just can’t get past the troubling fact (as experienced in my own psychotherapy and it’s ‘organized forgetting’) that the sine qua non objective of these therapies is to de-historicize the psychotherapy subject and any counter-narrative unfavorable to power, doxa, and the indelibility’s of lived experience (i.e., trauma, betrayal, etc. ).